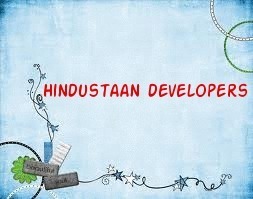 Hindustaan Developers is a leading developers and builders company in the field of real estate and construction located at the temple city Bhubaneswar, Odisha. This company is committed to provide all types of housing projects such as residential, industrial, commercial, and farm lands, villas, apartments, flats in the best locations of the city with affordable prices. This company has many experienced professionals such as quality Civil Engineers, best Contractors, best Supervisors, best Marketing Managers,and other offcial employees to deliver the best services to their esteemed customers with 100% supports. This company is also providing easy bank loans facilities through reputed banks to make a dream home. This project is located at Pitapalli Square, Bhubaneswar, Odisha. This project is situated at Near Sum Hospital, Bhubaneswar, Odisha. This project is located at Mahanadi Road, Cuttack, Odisha. This project is at Near ASBM, Chandaka, Bhubaneswar, Odisha. This project is located at Sundarpada, Bhubaneswar, Khurda, Odisha.